Hair is an essential part of our beauty. It talks "volume", "shine" and "health" of our styling and grooming. Maybe that is why we heard "a bad hair day" and not a "bad lipstick day" or bad "rouge day". Upkeeping of hair in today's age of busy life, stress, pollution and harsh chemicals, has become a huge a challenge. On top of that, the beeline of products in the market makes the task tougher. Decades back, people would know only a thing or two about hair care and they were all natural. Today, however, if you go to market, you are most likely to be flooded with advice on "things" that you can do "for" your hairs including buying this shampoo, going for that Spa, that medicine, that treatment and so on. Though I tried multiple such "therapies" and may keep trying some more in my life but my hair care regime remains simple and fixed till date. i.e. Oiling, Shampooing and Conditioning... all Twice in a week, in the same order of preference. Oiling is an essential part of my hair care. It is a regime that I am following since my childhood and I still ensure that I do oil my hair in advance before washing them. Minimum time can be half an hour and maximum can be a day as well. The day when I shampoo my hair without pre-oiling, I feel inadequate and my scalp, thirsty. I have a very sensitive hair, sensitive than my skin. When I say sensitive, I mean, that there are very few products that suit my hair including oil. Off late, I have been very restrictive in terms of experimenting with new oils and shampoos as constant travel and change of weather, plus my stressful lifestyle makes it difficult. 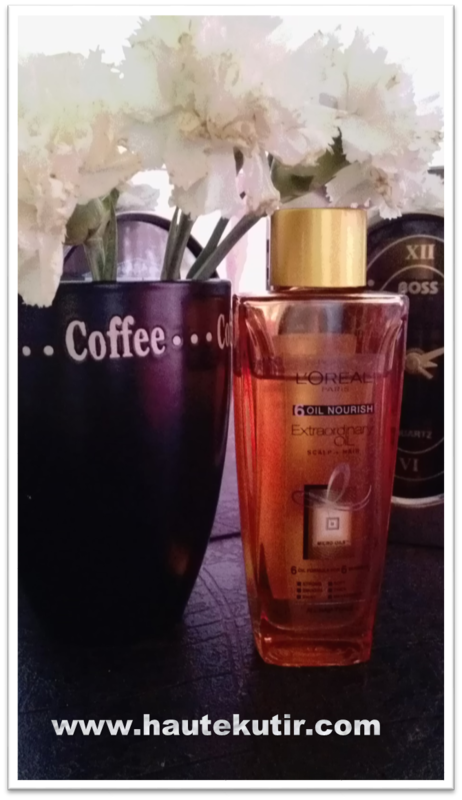 When L`Oreal Paris India, approached me to review one of the new product in their International Kitty, I had my own reservations but it being L`Oreal, I relented. I am a regular L`Oreal user whether it is hair care, skin care or makeup and had a good history with all their products. 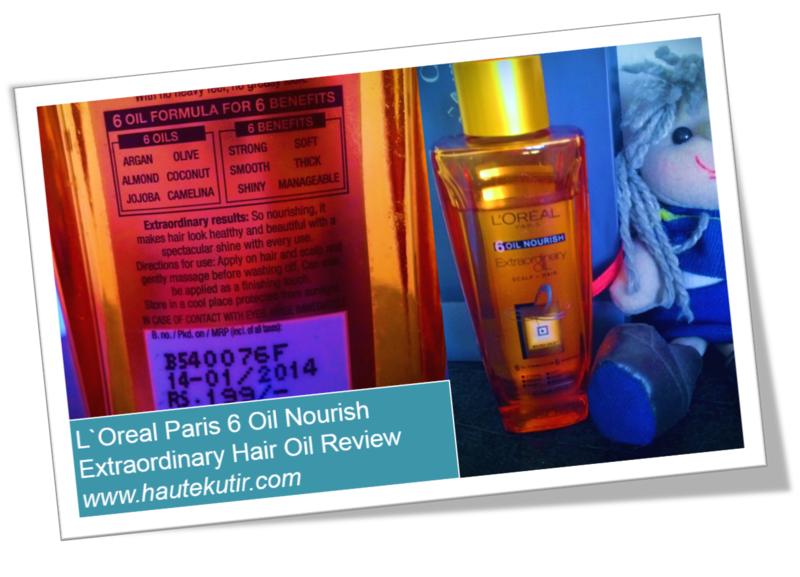 Hair oil was new for me and little hope, I agreed for the review. 3) Dry to oily. However, no split ends. 5) Easy to wash and does not require shampooing twice. Honestly nothing much till date. Maybe you can say the- glass bottle packing. Even then I believe glass pack would be better than plastic w.r.t chemical contents used in plastics that can mix with oils as diverse as these. Well that my personal opinion about the product and as I always maintained that my opinions are strictly personal, stated otherwise and they are not prejudiced in any manner, whatsoever. I received this product couple of months ago and I agreed to have it tried for a relatively effective period of time before posting my feedback and experience. Price: Priced at Rs 199/- for 100 ml, this oil makes it a worth buying, given the benefits it translates to your hair and styling. 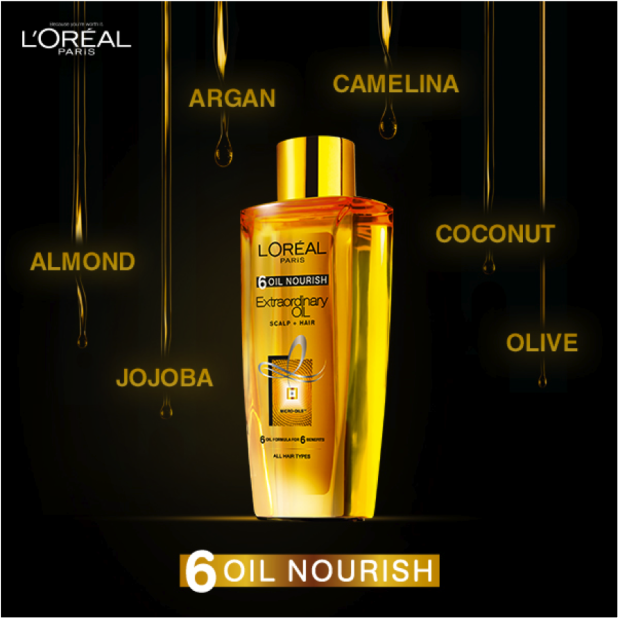 Packaging- The oil is packed in a pretty looking transparent glass bottle with adequate labelling and branding in the tune of all products in a range of L`Oreal Paris 6 Oil Nourish [Shampoo, conditioner and mask; I am yet to try them]. The packaging looks lovely and needs to be handled with care. Also, it comes with a list of all ingredients used in this product including Mineral oil. Overall I am happy using this product and next change will try their shampoo and conditioner in the same range too. In case, I did, you may definitely find the review here. Oh yes, do I recommend this hair oil? Definitely yes. Go buy it, cause your hair, totally worth it! lovely review! I like experimenting with hair oils. I tried Dove Elixir and found it good. Will try this one too! Thanks Ankita. I am glad that you liked it. I have not used Dove Elixir Oil though but I pretty much like what L`Oreal offered.